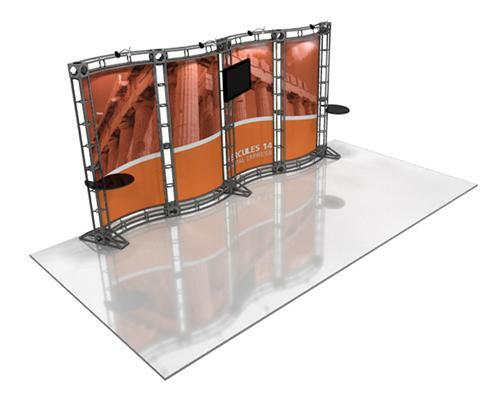 Capital Exhibits offers many types of Quality Trade Show Display Truss Systems to ensure we can meet a wide range of needs. 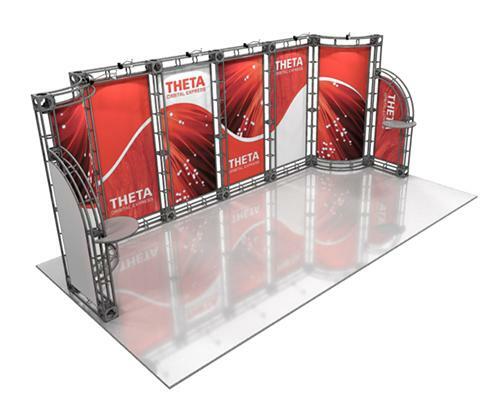 Our trade show truss systems provide you everything you need in a portable Truss Display, are extremely versatile, innovative, are a great value for your display show dollar and extremely quick and simple to set up. 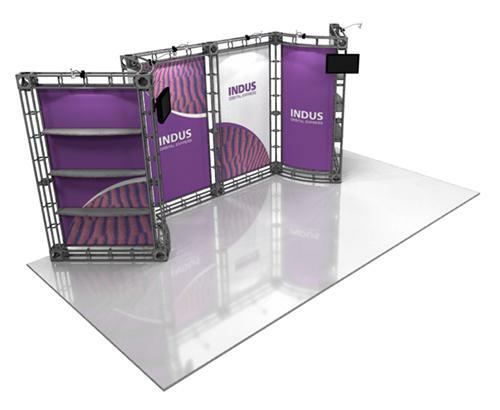 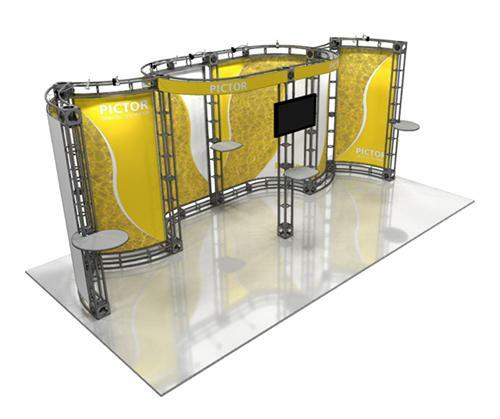 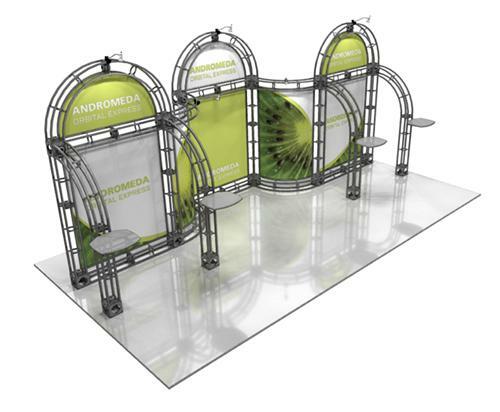 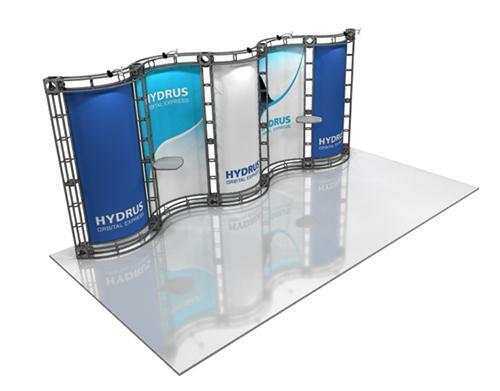 Our truss exhibition displays are designed to give you visual appeal, flexibility and a wide range of weight bearing capacity. 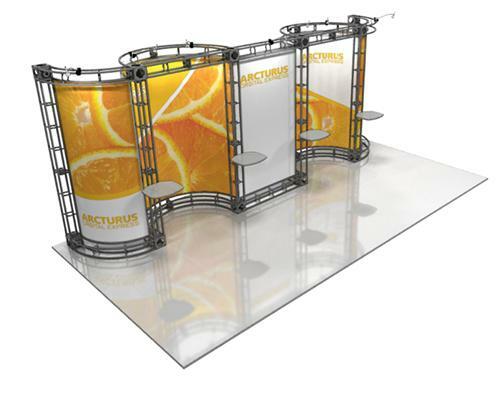 You can add impact and uniqueness to your marketing messages with our colorful, durable graphic panels incorporated into your Truss System and displays. 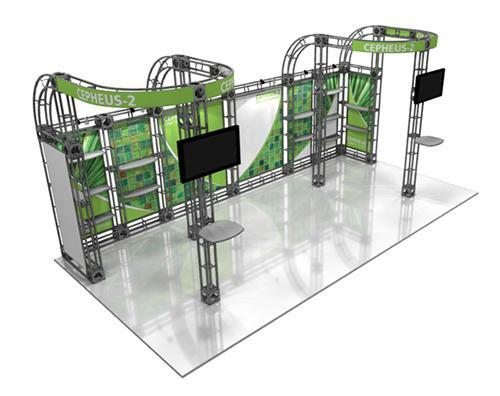 Ask about our rental truss display systems for your next show ans save money. 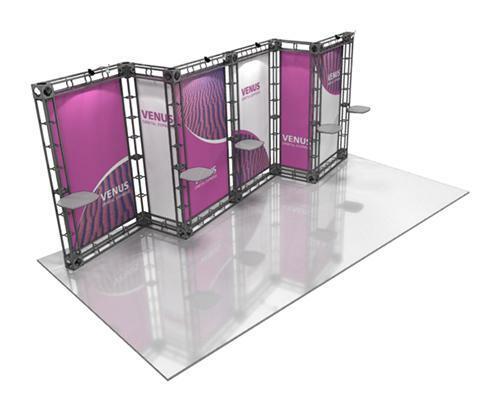 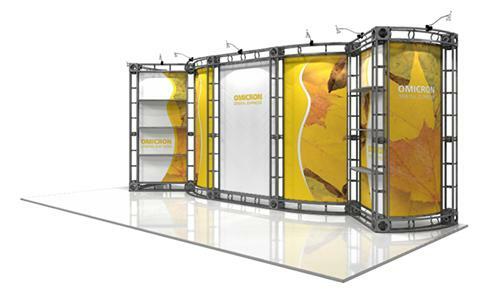 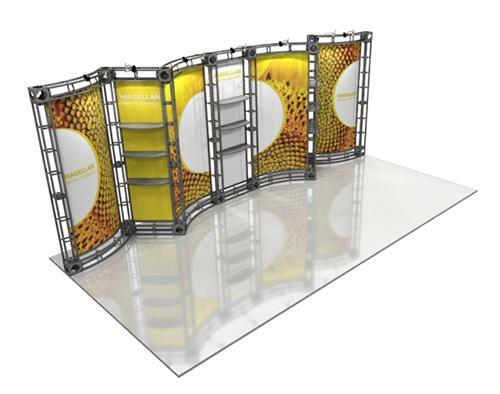 Reconfigurable, durable and efficient, our display packages make an excellent display and exhibition investment. 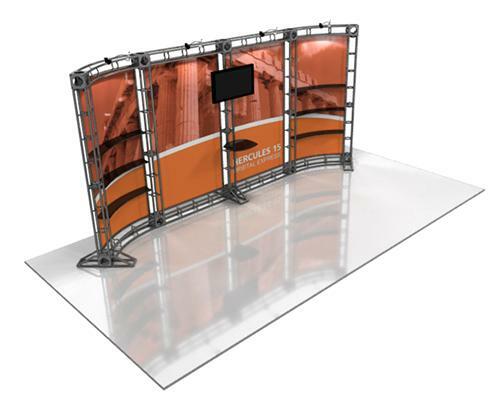 They can easily accommodate your changing space and graphics needs if you wish to expand your presence on the show floor using all or most of your existing components. 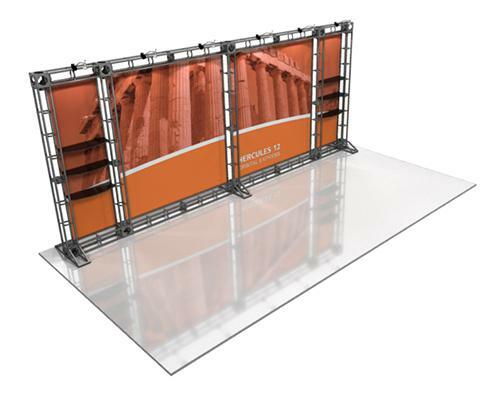 Stable, sturdy and durable construction, engineered and manufactured in the US, will last for years, making the most of your budget. 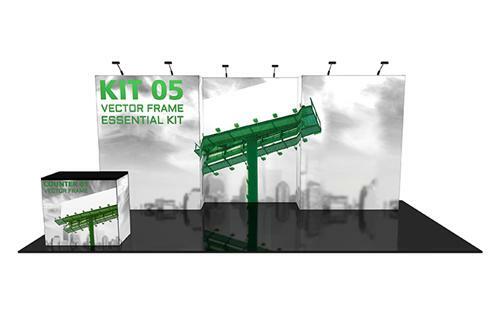 Our range of 10×10, 10×20 and 20×20 truss display exhibition allow for large show stopping graphic panels that will draw crowds to your booth.